A really neat and cute and challenging IPhone game I've been playing. 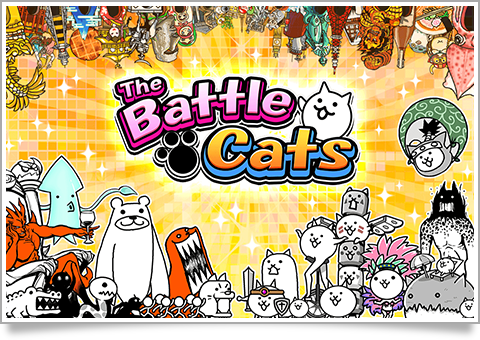 Battle Cats. Basically, this game has you collect and level up various different Cat units, then in battle you send them out from your tower to attack the enemy, trying to push them back until you get to their tower and take it down. Uses a good bit of strategy and it has loads of different Cat units of different raritys and types, each with their own abilities and specialties. It's very funny and cute, and it frequently has special events where you can get free items and try unique challenge stages. There's also a lot of different stages and secrets and more. So far I've been playing it and I really like it. A couple of the units are anime references too, such as Titan Cat (Attack on Titan), Delinquent Cat (Jojo), Moneko (K-ON), Akira (Megaman X), Bahamut Cat (Digimon), Major Space Cat (Gundam), Maiden Cat (generic Yandere), Hermit Cat (Dragonball), and more. It's a great game, you should totally get it. It's also free for IPhone. Please don't remind me of the day I accidentally erased my data and lost my Kuu and Aphrodite and both Nurse Cats. Thankfully they added these "Recovery Codes" in a recent update, so that's less likely to happen now. I'm really sorry you lost so much though. BTW, Nurse Cat was my first Uber Rare (OMG she's such a cutie pie). I also have Akira and Kubiluga. Hey, I hate to double post, but I know there's a bunch of EVA fans here, and I thought I'd announce this. As of today, Battle Cats is holding an Evangelion Collab Event, where you can obtain new units based on EVA Units and their pilots, and fight in special battles against 4 of the Angel Bosses. For those of you who are into that, check it out now, it only will last two weeks.